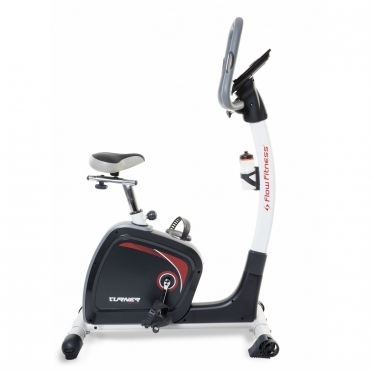 Flow Fitness TURNER DHT350 (FLO2308) Hometrainer. High quality for a great prize. This DEMO model is en perfect condition. 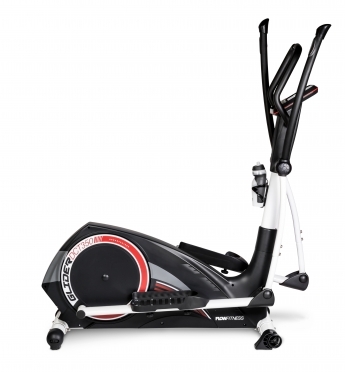 Flow Fitness TURNER DHT250 (FLO2307) Hometrainer. High quality for a great prize. 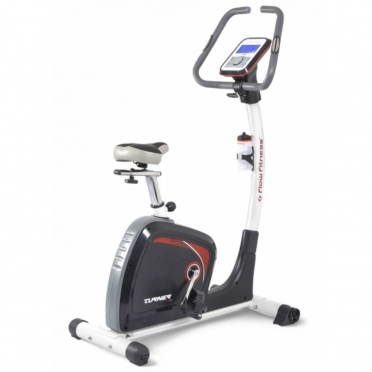 Flow Fitness TURNER DHT350 (FLO2308) Hometrainer. High quality for a great prize. 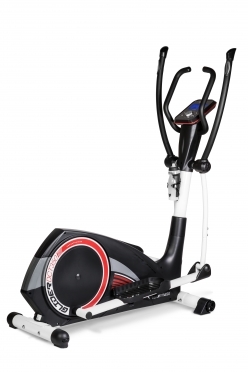 The Flow Fitness crosstrainer Glider DCT350i UP from the Dynamic Line is an absolute winner, with its induction magnet braking system and robust frame. 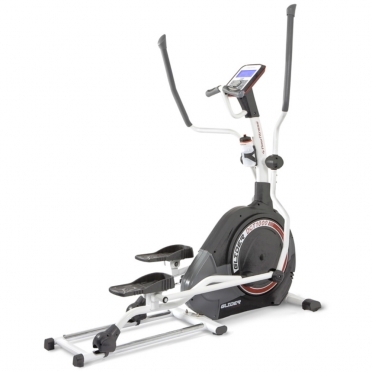 The advanced braking system creates an unsurpassed experience in the fitness sphere, allowing you to set the gradual resistance very precisely, so you can increase or decrease the training intensity or complete a Watt based training. 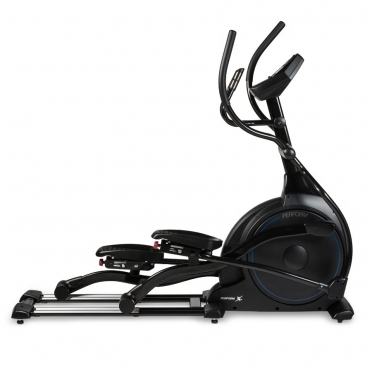 The Flow Fitness Crosstrainer GLIDER DCT1000 (FLO2316) is an advanced ‘Front Drive’ cross trainer at a very sharp price. 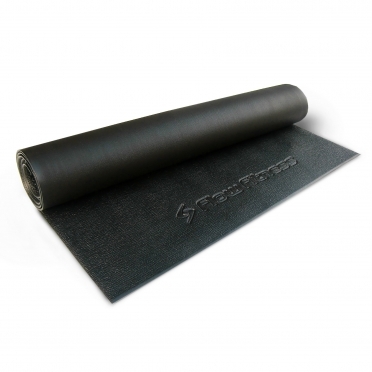 Flow Fitness protection mat large 125 x 85 CM (FLO2009)Special durable rubber mat for under the fitness product , to catch the sweat and to have and keep a good grip.To use under the larger products such as treadmills and rowers. Flow Fitness protection mat large 200 x 85 CM (FLO2008)Special durable rubber mat for under the fitness product , to catch the sweat and to have and keep a good grip.To use under the larger products such as treadmills and rowers. 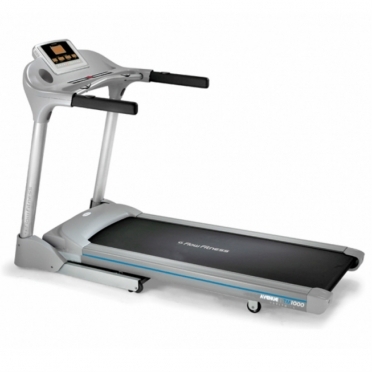 The Flow Fitness Treadmill Runner DTM300i is an ideal entry-level model, without compromising in comfort and solidity. This model is the little sister of the Runner DTM400i. Not so much because of the number of functions, because except for the incline angle, both treadmills are practically the same. The DTM300i is exceptionally small when it comes to compactness if it is folded. 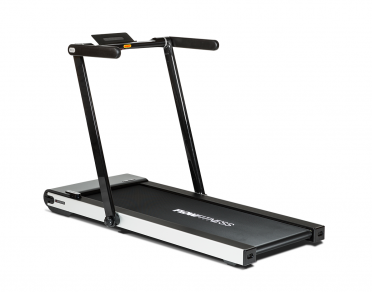 With a height of only 13.8 cm, this treadmill is the smallest in our entire range. 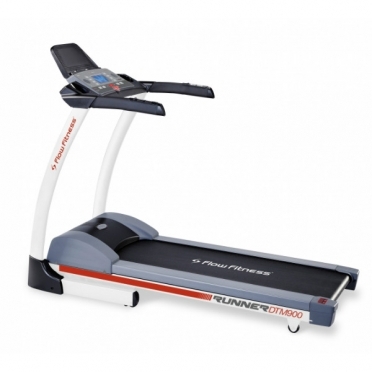 The Flow Fitness RUNNER DTM500 Treadmill is a good treadmill for a good price. 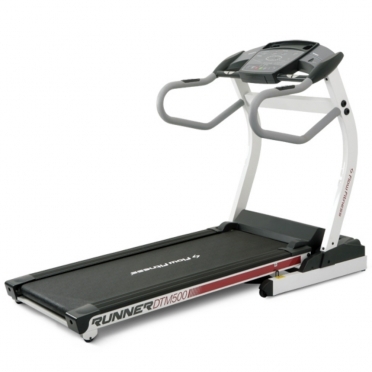 This treadmill has compact dimensions and is easy to fold. 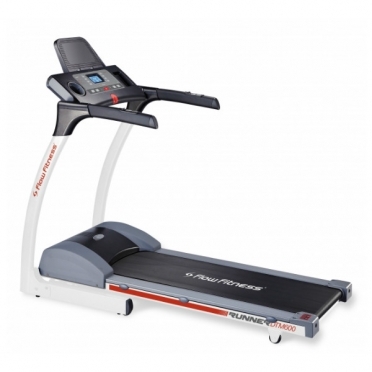 De Flow Fitness Runner DTM600 treadmill is the entry level model of the four treadmills in the product range of Flow Fitness.Due to its strong construction and powerful 1.7 HP motor this treadmill delivers an excellent performance. 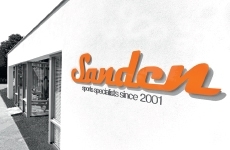 Do you exercise occasionally or do you prepare for one of the many running events? 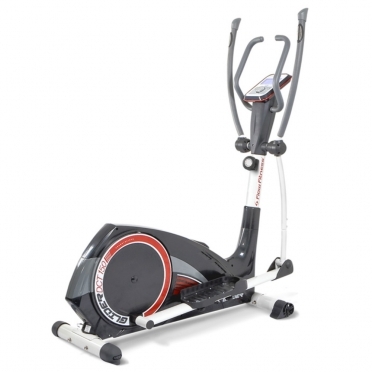 The Flow Fitness Runner DTM900 treadmill is the ideal product for this use.The DTM900 is equipped with a powerful 2.0 HP motor and has more than 16 programs that challenge you to realize your goals. Looking for a digital scale which tracks every detail? 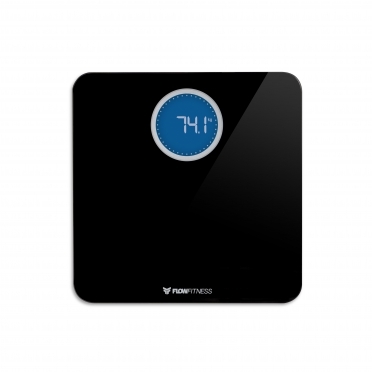 The Flow Fitness BS20b Bluetooth Smart Scale Black is exactly what you need. It does not only measure your weight, but also your BMI. When you connect the scale via Bluetooth to the E-care-app on your mobile device all your data will be stored. With this data, you can calculate whether your weight is healthy and you will also be able to set goals and track your progress. Getting on the scale was never this much fun! The smart scale is available in both white and black.